A sanding table is an essential component of a healthy workshop. 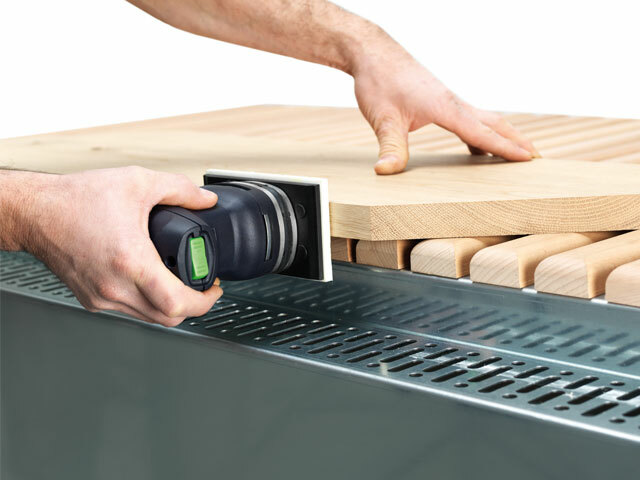 The need for professional extraction solutions has long been recognized in the woodworking industry, thus the use of a sanding table for manual sanding work has even been anchored into law in Austria and Germany (GKV2011 §16a par. 3 and BGI 739). Accumulating dusts are optimally captured and immediately extracted. 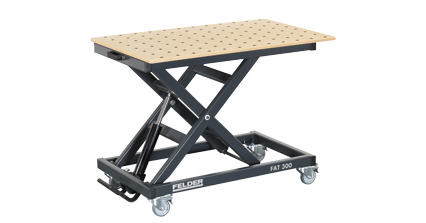 The Felder FST 160 sanding table as a stable build and can be adjusted from 726mm to 1026mm as standard. By chosing the optional wall mount, it is possible to save valuable space by storing the sanding table in a fixed vertical position in alignment with the wall. 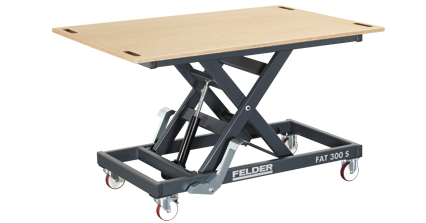 The Felder FST 160 sanding table is therefore suitable for smaller workshops. 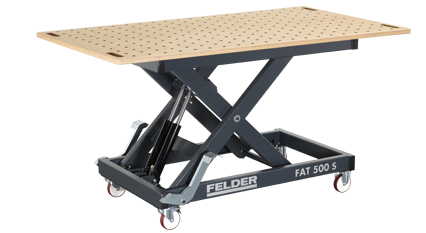 In combination with the FAT 300 Felder working table, the sanding table offers even more advantages. All of 600 mm of continuous height adjustment and easy mobility thanks to lockable solid rubber swivel rollers – that is premium comfort for every workshop. 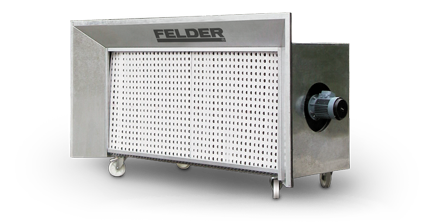 By combining these two products, FELDER can provide a perfect solution for flexible grinding work with minimum space requirements. 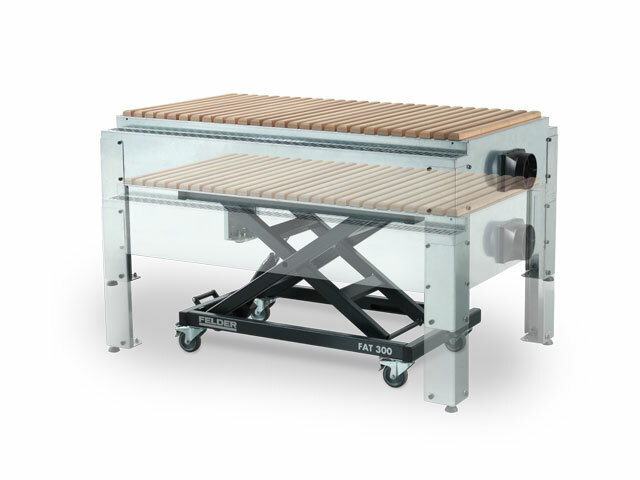 Combine the sturdy FST 160 sanding table with the height adjustable FAT 300 Felder working table and ensure top class mobility, flexibility and individual user comfort. The versatile working table can also be used for assisting with storage, for stacking or as a carriage to help you change tooling. A perfect assistent for your workshop.